Discover how you can improve your mental game for golf with Dr. Patrick Cohn, master mental game coach to professional, collegiate, and amateur golfers. Uncover the secrets to improve your mind game for golf. Get expert golf mental game coaching with Dr. Cohn himself or with one of our trained mental coaches! Browse our golf psychology CD and workbook programs specifically designed for golfers. Read our golf psychology articles to learn more about how sports psychology can improve your game. 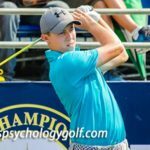 Watch Dr. Cohn's free golf psychology videos to improve your mental game for golf and putting yips. Listen to our golf mmind game podcast. Submit a mental game question to us to get answered in the podcast. Meet mental game expert Dr. Patrick Cohn. See his golf and sports psychology credentials. “To win at any level, you have to train both your mind and body. 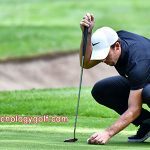 Dr. Cohn does an excellent job of teaching you how to develop confidence and touch around the greens, both of which are vital to any player’s success."